Lancaster, NY, February 9, 2017	(Newswire.com) - FOX Sports and the National Football League (NFL) selected Admiral Video, LLC to supply their PylonCam 2.0™ system (Patent Pending) for Super Bowl LI. 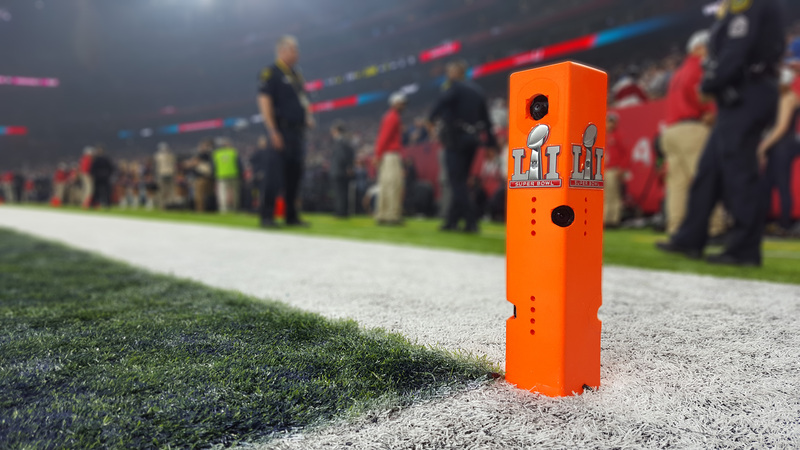 This was the second year in a row that the company has supplied pylon cameras for a Super Bowl and the first year using their EXCLUSIVE “corner-oriented” three-camera design. PylonCam 2.0™ offers a new look at the playing field as seen from the pylon. 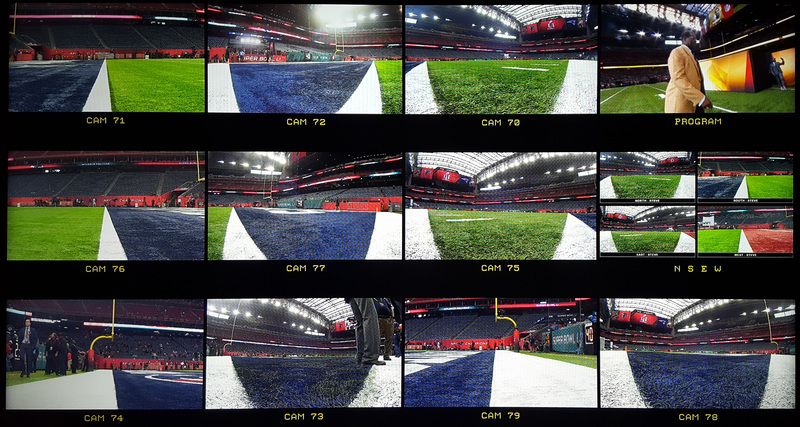 By moving the orientation of two lenses to the corners of the pylon, each of these cameras is able to cover both the goal line and the sideline. This innovative design allows the third camera to shoot a much tighter field of view down the goal line. 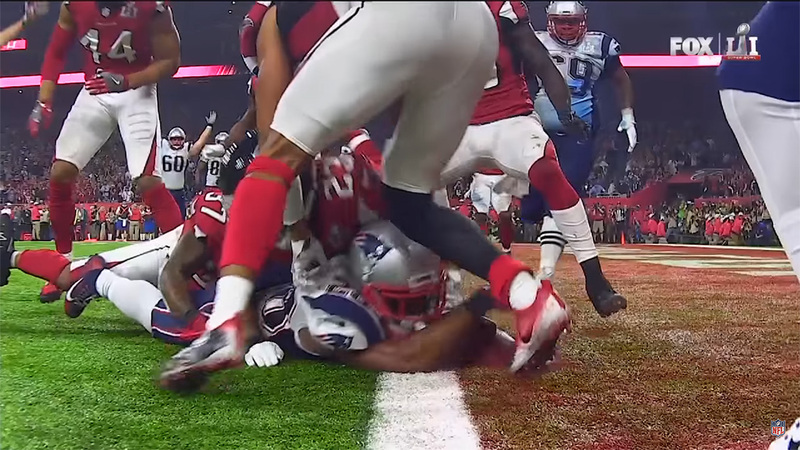 Super Bowl LI had a record-high 24 cameras deployed inside the pylons. 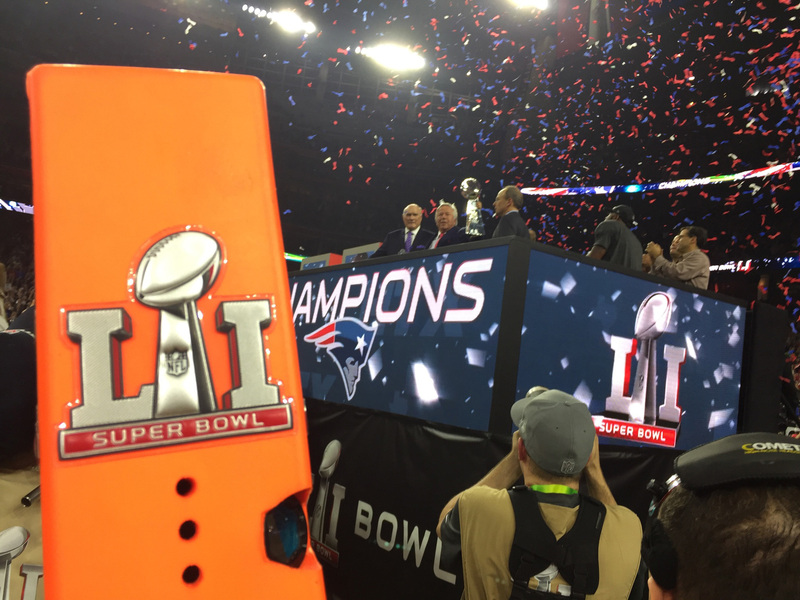 Admiral Video is the only company to have provided pylon cameras for a Super Bowl. In addition to FOX, the company provided the system to CBS on their Thursday Night Football, SEC Championship, and AFC Playoffs telecasts. PylonCam was conceived as an advanced application of their FiOPS Point of View camera in late 2014 and development of new features and improvements has continued each year. Flexibility and player safety have been the company’s primary concern during development. Founded in 1992, Lancaster, N.Y.-based Admiral Video is a leading broadcast industry service company. The company's specialty is multi-camera video engineering and production. In addition to complete turn-key video production, they offer equipment rental and Western New York’s only High Definition Television Production Truck. Their avocation is “special projects” such as their POV cameras and PylonCam. They are well-known in the sports television community as a source of novel, cost effective and reliable solutions to Point of View camera challenges. For more information about Admiral Video, visit PylonCam.com, Facebook or Twitter. Admiral Video specializes in multi-camera video engineering and production. In addition to complete turn-key video production they offer equipment rental and Western New York's only High Definition Television Production Truck.